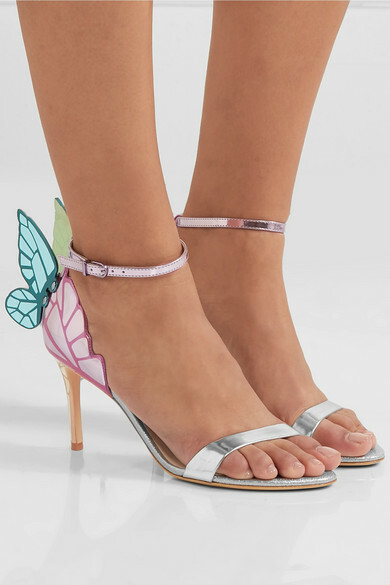 The right pair of shoes can totally change your outfit - Sophia Webster's playful 'Chiara' sandals would completely transform a simple tee and jeans combo. 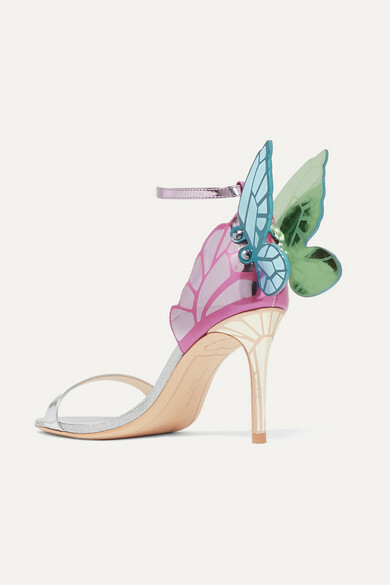 Defined by the designer's signature butterfly wings, they're made from mirrored leather and sprinkled with glitter around the soles. Shown here with: MATÉRIEL Dress, L'AFSHAR Clutch, Roxanne Assoulin Bracelets.